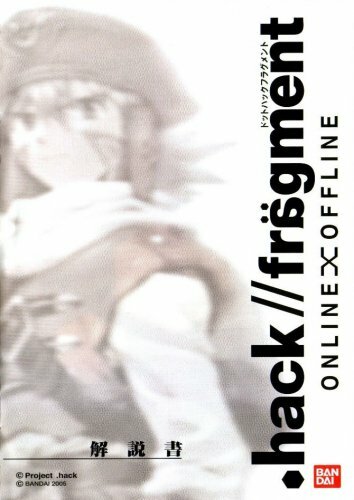 Original game manuals and player written guides for the .hack// video games. 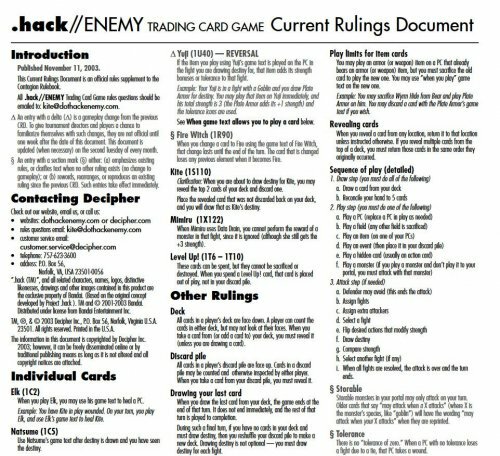 Found the most up-to-date Current Rulings Document via an archive from Decipher's site. 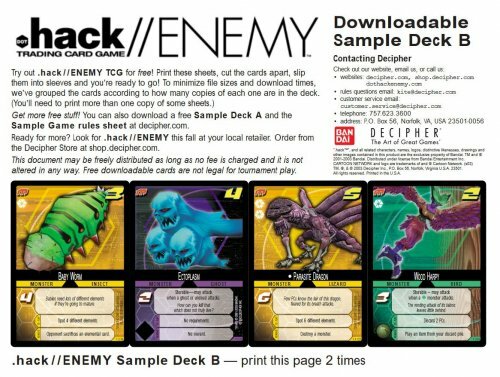 It includes banned cards from the tournament days, as well as explanations of rulings on individual cards. 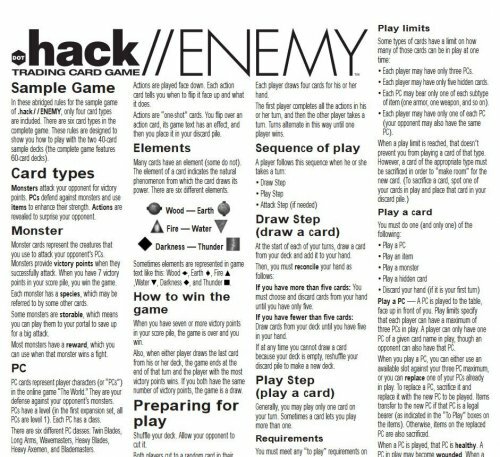 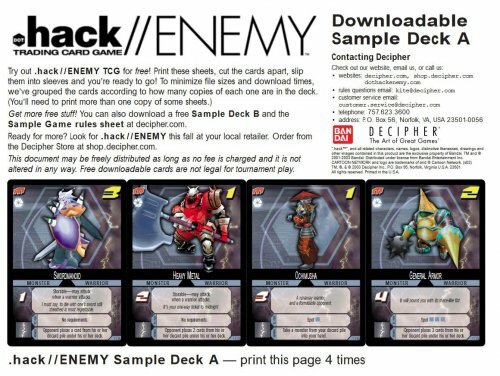 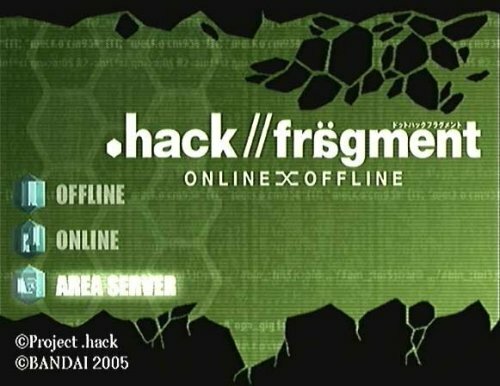 A .pdf file from Decipher's website on .hack//ENEMY.